Yorkshire has been the location and produced the material for some great television series. The latest series is Happy Valley staring Last Tango in Halifax actress Sarah Lancashire. All Creatures Great and Small based on the vet books of James Herriot set in the 1940’s and 1950’s. Emmerdale which had and perhaps still has a farming theme. 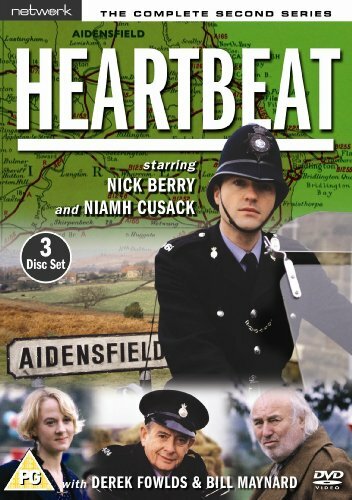 Detectives, Dalziel and Pasco is set and shot in Yorkshire, whilst Frost’s Denton may be in the Midlands or even Oxford but it was shot by YTV in and around Wakefield and Pontefract. 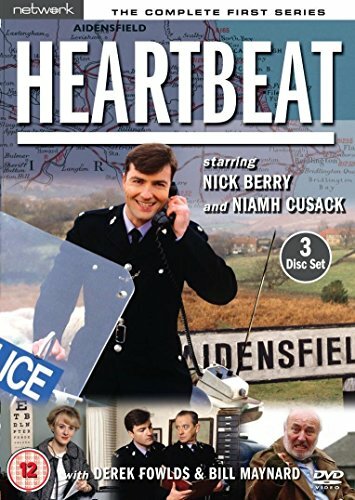 However the number one Cop show in our house was the 1960’s based Heartbeat. The moorland farms, quiet roads and North Yorkshire Moors railway gave the film crews a great location for this long running series. (the DVD’s of series 1 & 2 can be bought from Amazon by clicking on the picture). Why has the ITV website for this show been frozen in aspic then deleted? Why haven’t we seen some more spin off shows if the writers have got writers cop block? When can we have our show back? This is not a petition to the commissioning section at ITV but adding a comment to our post will show the extent of public feelings. Fortunately for my wife there are regular reruns on ‘Watch’ or ‘Alibi’ but unfortunately for many of the actors they have no role in current dramas.